While over at Sweetapolita I came across this adorable doodle birthday cake with buttercream frosting, YUM! I LOVE this idea! 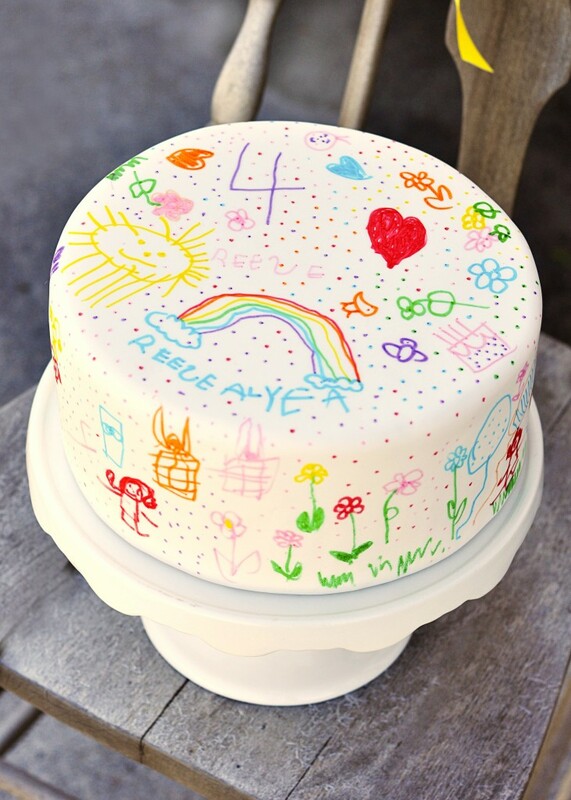 What a wonderful way to let your child put their creative touch on their celebration. And just to make it even more fun when you cut into the cake you’ll discover a rainbow of beautiful layers. Just bake, frost and add fondant then hand over some Gourmet Writer Food Decorator Pens to your little one and let their creative juices go! For the full recipe head over Sweetapolita. This looks amazing! Looks like hard work on the inside of the cake.. but fun! I love this idea, too bad my both my kids birthday past. Next year, I will definitely try it. That cake is just the cutest! My baby has a b-day in just a couple of weeks but I don’t think my skill level is quite there lol.